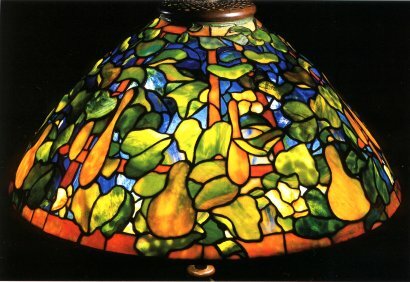 This gourd shade is one of two examples known. 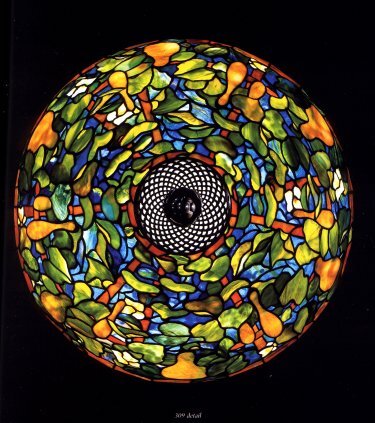 See Dr. Egon Neustadt, The Lamps of Tiffany Studios, 1970 P157, fig. 220 for an illustration of the other example that is presently in the collection of the New York Historical Society. 72" high, 24 1/4" diameter of the shade, with finial. 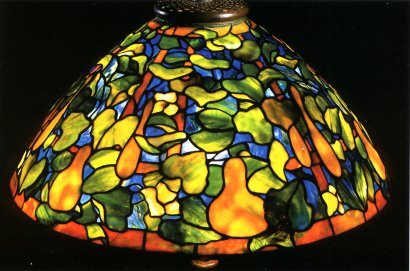 The shade tag is stamped TIFFANY STUDIOS NEW YORK 1522-2 the adjustable 'Spanish' base stamped TIFFANY STUDIOS NEW YORK.